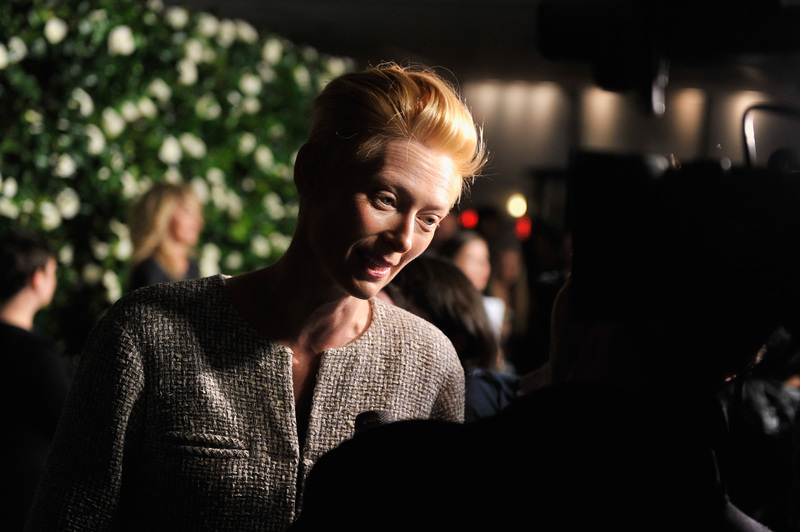 Tilda Swinton is a talented and versatile lady. She can play Chronicles Of Narnia warrior witch goddess, ethereal renaissance lady, vampires with alien-vibes, archangels, ethereal soccer moms, '60s-style social workers, 80-year-old millionaires — you name it, she can do it, all while making you wonder at that face and that talent. Basically: Tilda Swinton is a boss, and that is very well encapsulated in this tribute to her that the MoMA put together. My guides in this inquiry are my children who are now 16 -- they're twins. They're like lab rats really, they're very grateful. When I first started thinking about cinema for them, I started to really examine my own desires about cinema for myself... It was really to do with the children and seeing their eyes opening. And I started thinking about why cinema is good for the soul, and what it gives us. In a nutshell, what it is for me is this amazingly humane opportunity to put yourselves in the shoes of someone else. It's no more complicated and no less powerful than that. You go in, it all goes dark, and you put yourself in someone else's shoes and see through their eyes. That's just mega, it's so powerful. Even a painter, who can do it, only can do less. A painter at one time is showing you one frame, but a filmmaker can take you into an experience and an existential atmosphere that may be a trip for you. It's like a magic carpet. This is how I feel about cinema.